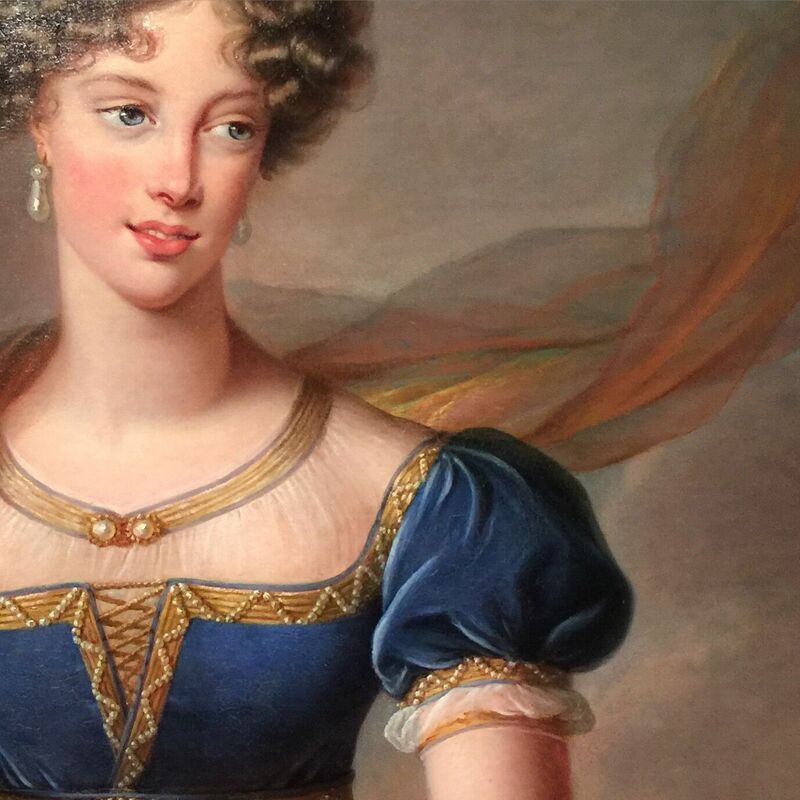 Many consider the exhibition of the work of artist Elisabeth Vigee Le Brun at the Metropolitan Museum of Art to be long overdue. When the exhibition first opened in France, it was the first monograph show she ever had in her native country. Best known for her portraiture, Vigee Le Brun is considered one of the most important female artists of all time. She is admired both for her technique and for her ability to establish an empathetic relationship with her sitters. Vigee Le Brun achieved professional success in France and Europe in a society where most women were not seen outside the home, and during one of the most turbulent times in European history. She did much of this as a single mother. Settle in for some highlights from the show and a bit about this trailblazer’s fascinating life. Elisabeth Vigee Le Brun was born in France in 1755. Largely self taught, Vigee Le Brun burst onto the social and artistic scene at the age of 15 with a portrait of her mother as a sultaness. She quickly built up a lucrative business portraying both nobles and bourgeoise but saw little of that money herself. Her stepfather, a man that Vigee Le Brun hated, made off with the cash. 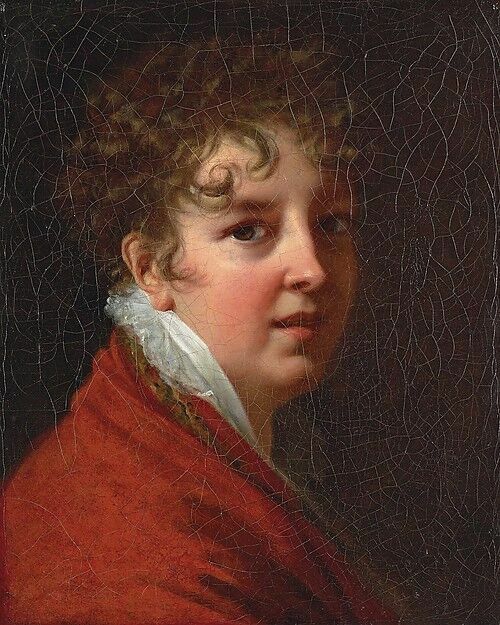 Vigee Le Brun was considered quite attractive, and before too long a prominent neighbor, the leading art dealer in Paris at that time, Jean-Baptiste Pierre Le Brun, took note . 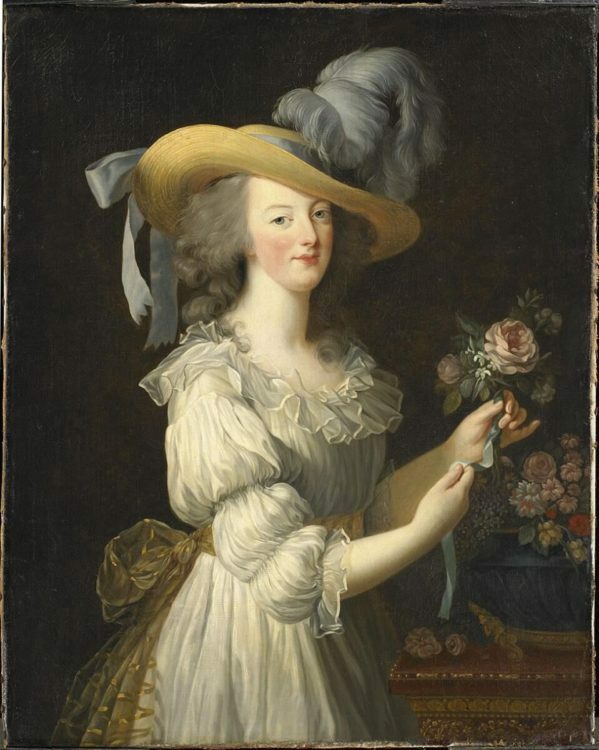 They married 1776, and in 1780, she bore him her only child, a daughter, her beloved Julie, shown here in Vigee Le Brun’s portrait of her as a young girl. Sadly, Vigee Le Brun’s husband turned out to be a philanderer, addicted to gambling and whores, and it was his turn to drain all of his wife’s funds. Jean-Baptiste Pierre Le Brun had two redeeming qualities. He was helpful both in fostering Vigee Le Brun’s development as an artist and by marketing her work. She improved her skills by studying his collection of old masters and prints. In the beginning of the 1780s, they made a transformative voyage together to Flanders and the Netherlands. It was on this trip where she discovered the work of Rubens and admired his technique of painting on wood and his use of color and glazes. Ruben’s work influenced her painting for the rest of her life. Today, Vigee Le Brun is one of art’s most revered colorists, seen here in this detail of a sublime combination of mustard, plum and blue. 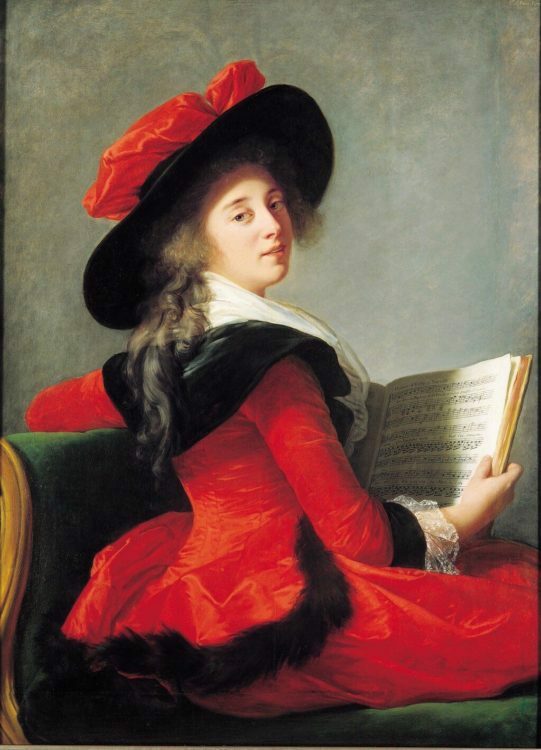 Jean-Baptiste Pierre Le Brun also was able to use his connections to obtain important commissions, and the high fees that went with them, for his wife. 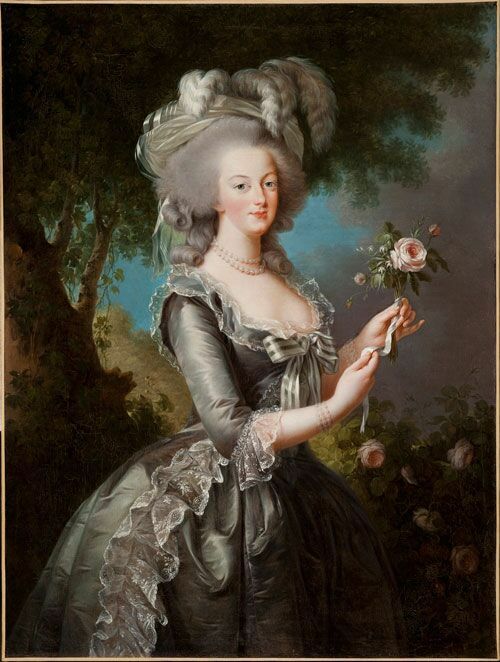 Soon, at age 23, Elisabeth Vigee Le Brun gained her most renowned client, Marie Antoinette. The Queen was so taken with Vigee Le Brun, that the artist would paint over 30 pictures of her and her family. 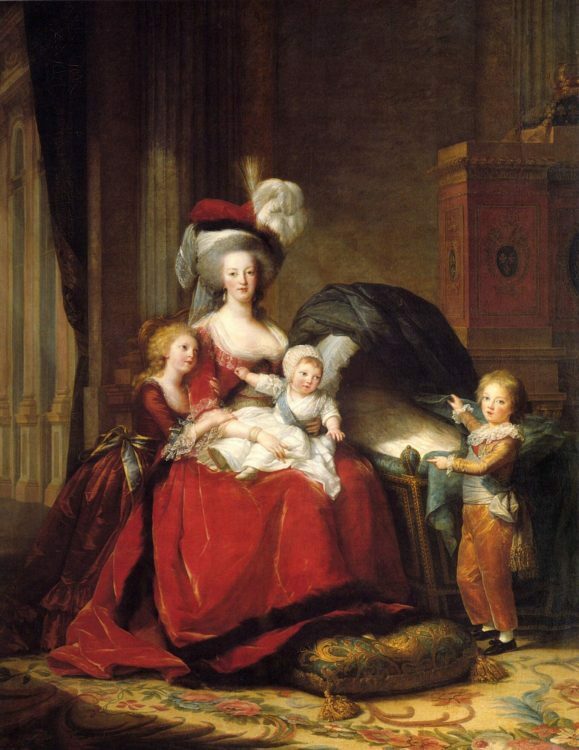 Many were done in an effort to improve the Queen’s public image, like this portrait of Marie Antoinette with her children. 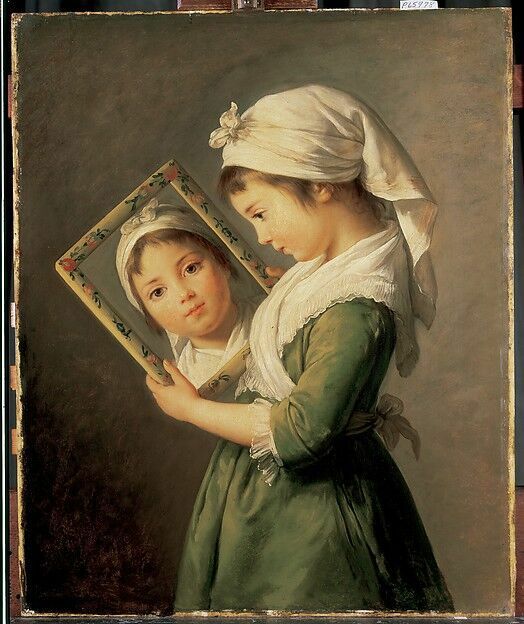 With this painting, ordered by Louis XVI, Vigee Le Brun became the first woman to achieve the rank of painter to the king. The patronage of such a controversial Queen had its drawbacks. 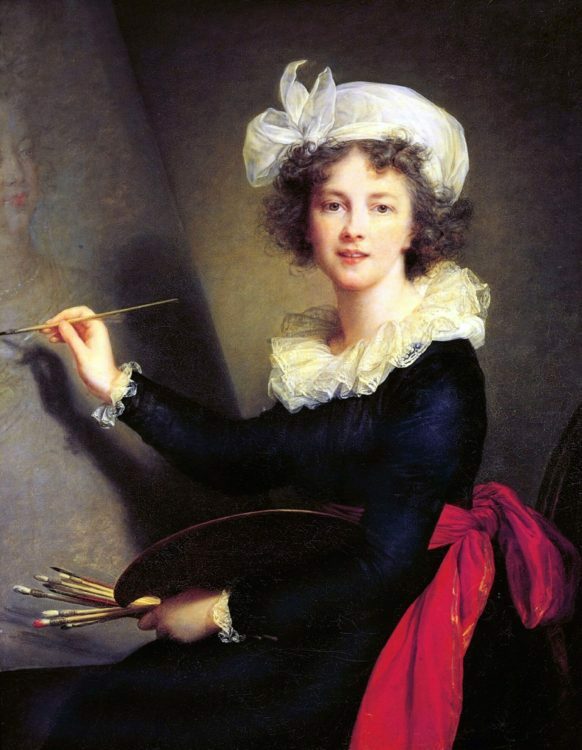 As a woman painting an unpopular woman, Vigee Le Brun was a magnet for criticism. Some said Vigee Le Brun’s work did not measure up to her high fees, while others claimed the reverse. Her work was too good to be done by a female, gossiping that her portraits must have been painted by a man, most likely a lover. Around this time, Vigee Le Brun caused a minor public scandal by showing the teeth of her subjects, then considered vulgar. Always independent, she ignored this criticism and continued to paint full smiles throughout her career. With the advent of the French Revolution, Vigee LeBrun’s association with Marie Antoinette became life threatening. 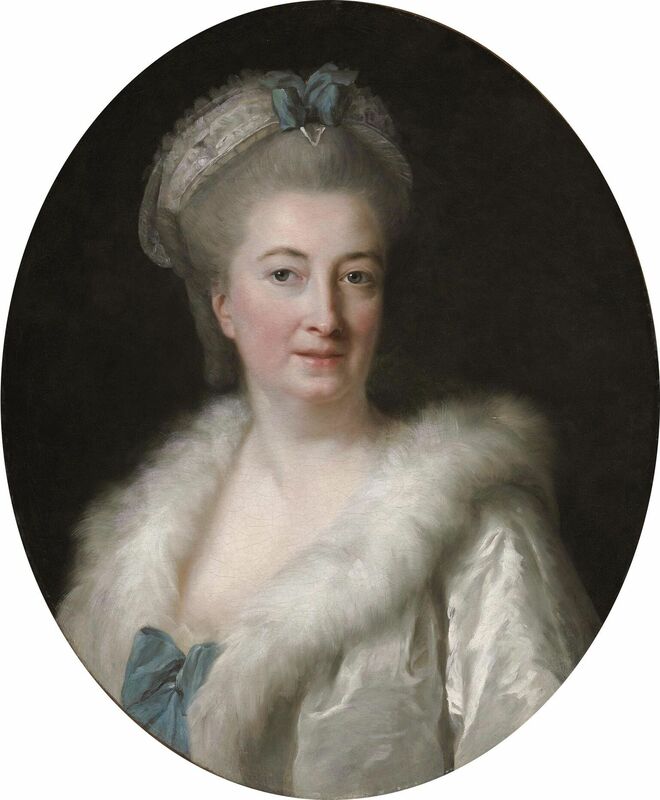 She and her daughter fled France in 1789 without her cad of a husband. Vigee Le Brun would live throughout Europe, frequently on the move, for 13 years. During this time, she was solely responsible for supporting herself and her daughter. Vigee Le Brun and her husband divorced in 1793. She did not remarry. 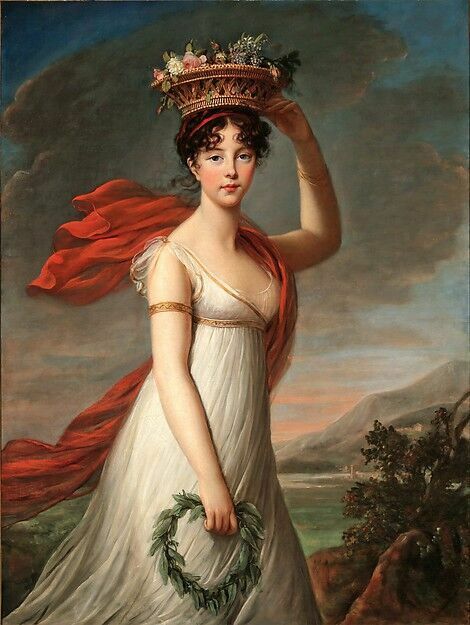 Vigee Le Brun continued to paint nobility in exile, and was finally able to return to France in 1802. She never quit painting. At age 86, in 1842, she died in Paris. The Vigee Le Brun exhibition at the Met closes on May 15. 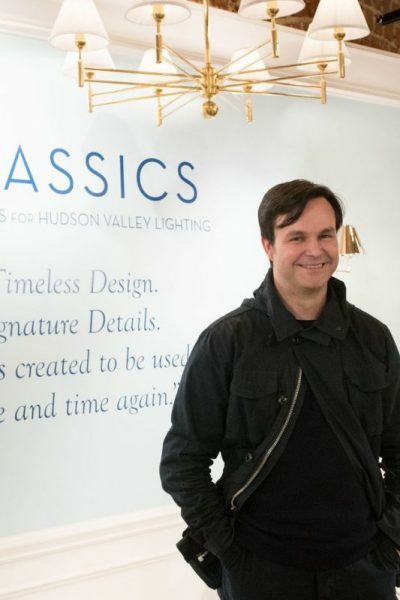 If you are in NYC for ICFF, try to make time for it. Vigee Le Brun portraits sourced from the Metropolitan Museum of Art’s website. Detail shots by Lynn Byrne. I can’t thank you enough for sharing your knowledge through your blog. 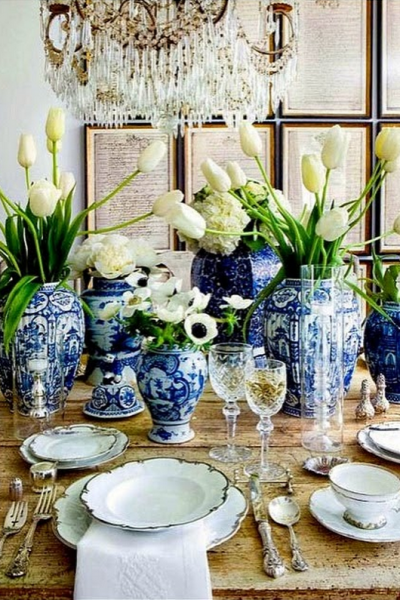 I love how you interweave art and interior design! 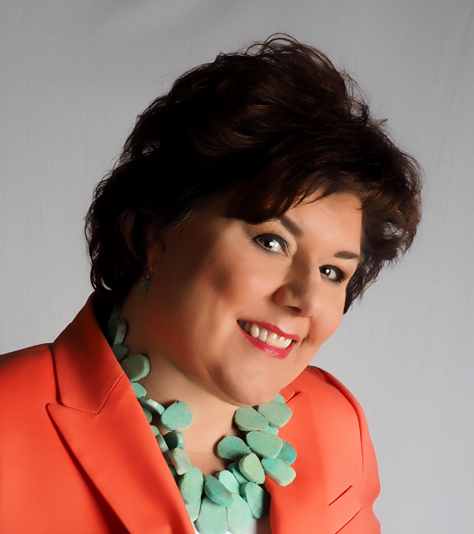 You must spend an enormous amount of time creating your posts. 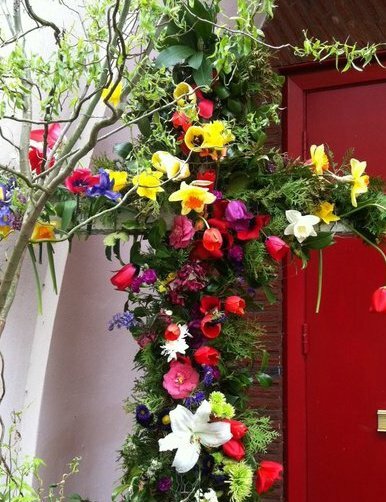 Thank you so much for enlightening, inspiring and just brightening my day! 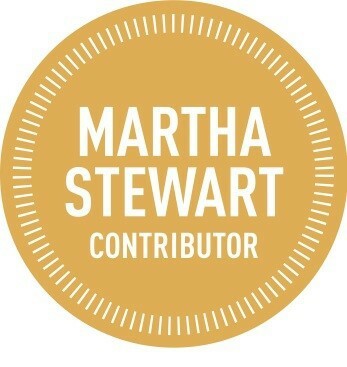 Thank you Mary for your kind words. 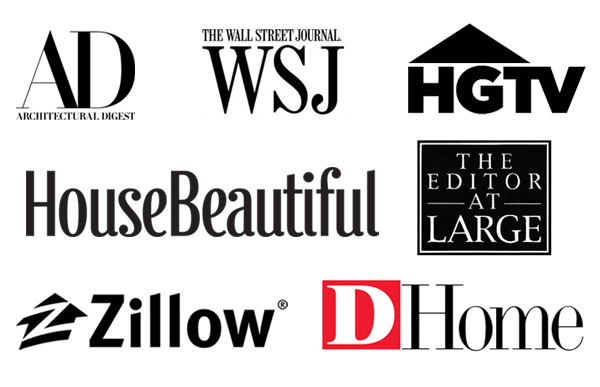 We have a great team of contributors at Hadley Court and they make my job look easy. We appreciate your readership.